Tonight's SHObox undercard featured Amir Imam claiming a TKO win over Fidel Maldonado Jr. in a 140-pound bout. 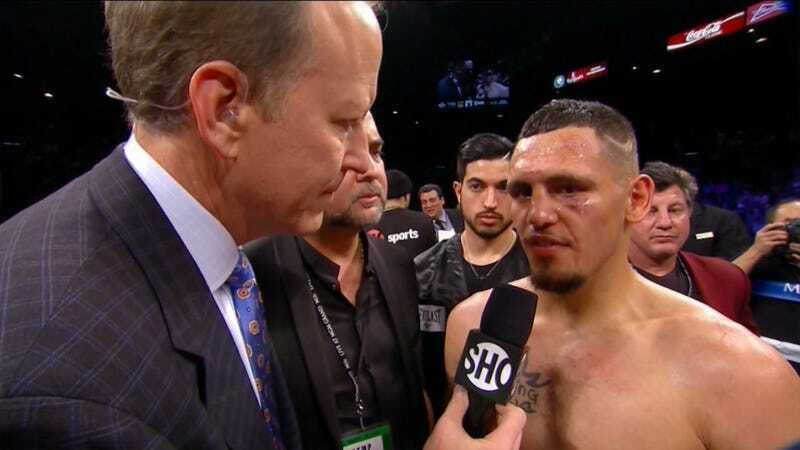 Afterward, ubiquitous microphone toady Jim Gray went to interview the losing fighter, a lifelong Albuquerque resident. Except he extended the mic to Maldonado's trainer, assuming the young man didn't speak English. Oops!